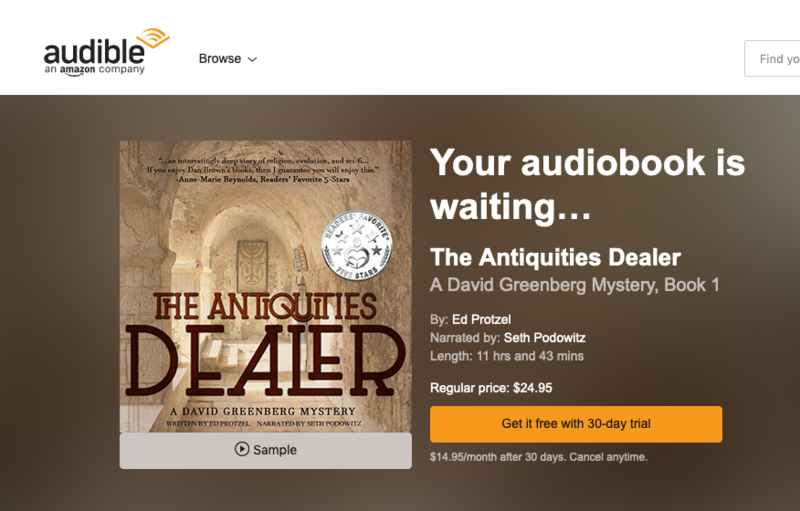 Audiobook version of THE ANTIQUITIES DEALER now available on Audible, Amazon & iTunes! Sample it here. Subscribe to Ed's email list to receive notices & announcements.